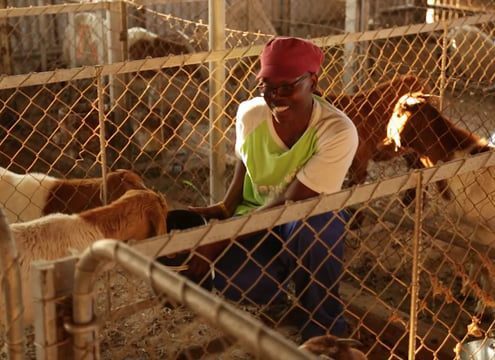 The Faculty of Agriculture and Natural Resources has its headquarters at the Neudamm Campus, approximately 40 km from the main University of Namibia campus in Windhoek. There are six campuses—agricultural economics; animal science; crop science (Ogongo campus); food science and technology; fisheries and aquatic sciences; integrated environmental science (Ogongo campus). The faculty offers a BSc in agriculture in agricultural economics; animal science; crop science; and food science and technology. There is also a BSc (not research in natural resources (fisheries and aquatic science and integrated environmental science. An MSc is also offered in rangeland resource management. Apart from these programs, it is also possible to work towards an MSc and a PhD by research and thesis or dissertation. The study was conducted to evaluate the nutritional characteristics of five indigenous legumes compared against Lucerne as potential livestock fodder.